Reaching Chile involves 30+ hours of flight journey. I connected via Dubai and Sau Paulo, Brazil. Other connections can be via London/Fance and USA (JFK/Miami). A return ticket costs over a lakh rupee, hence it is not viable to make standalone trip to Chile for leisure. Currency: Local currency in Chile is Pesos (Currency code CLP)… You get 45000 pesos for 100US$ or 4500 INR. Effectively 10 pesos for every rupee. To give a comparison, 1 kg banana costs 350 CLP or 35 INR, 1kg grapes cost 500CLP, 1.5 litre mineral water bottle costs US$ 2, a cup of expresso coffee- CLP 1000+ . Fixed rate to board underground Metro: CLP 560, irrespective of destination. Electronic items cost exactly same as India. Current weather: Ranging between 12 to 19 degrees, which is considered spring here. 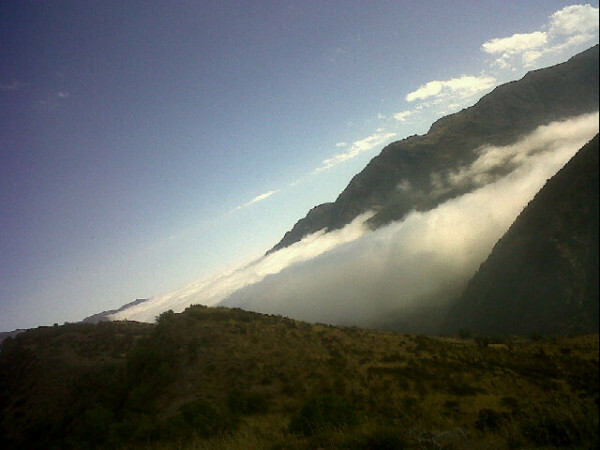 From mid-June onwards winter kicks in and nearby mountains start getting snow cover. Skiing is a popular sport and I’m told over 10000 individuals per day arrive at Chile during the season to enjoy skiing. 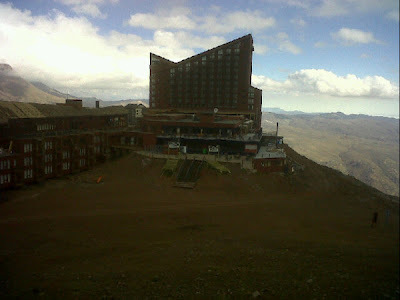 I went to nearby Andes mountains to checkout the Ski resort and views. Standby for more photos of the same. Sunrise happens very late-daylight starts breaking in only after 7.30 and sun rays, 8.30 am onwards… So I can’t take any photographs even if I get up early and it will be time to leave for work when light arrives. Valparaiso is one of the oldest port cities in Chile and America, about 2 hours journey from Santiago, the capital. Very nice Shri... I know there will be many stories in your kitty once you are back. OMG!A very beautiful scene here.Thanks for sharing. Looking forward to detailed stories. ..
Umesh, what is SPanish Armada?